Bruxelles, Belgique (17 mars 2019). Novus International, Inc., participera à la 13èmes édition des JRA (Journées de la Recherche Avicole et palmipèdes à foie gras) les 20 et 21 mars prochains. Le congrès aura lieu à Tours, et réunira des professionnels avérés de la production de volaille en France et dans d’autres pays européens francophones. BRUSSELS (February 15th, 2019) –Broiler breeder genetics and management practices in Europe have changed drastically over the last decade. Both must be increasingly tailored to the evolving export developments and changing consumer demands such as the shift to more processed meat products, the growing attention for improved animal welfare and reduced use of antibiotics in production. Review of the chemistry, metabolism, and dose response..
Methionine (Met) is an essential amino acid in birds and needs to be present in diets because is indispensable for animal maintenance, growth and development. The synthetic form of Met it is typically supplemented to fortify poultry and swine diets. 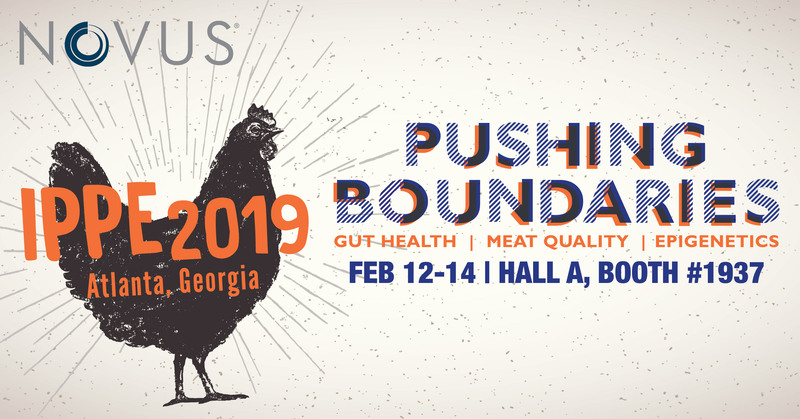 From Poultry World: Novus eubotic solution establishes a more balanced intestinal microbiota, improves litter quality and consequently better growth and feed efficiency, studies have shown.